Wonderful Country Retreat on almost 55 peaceful acres. 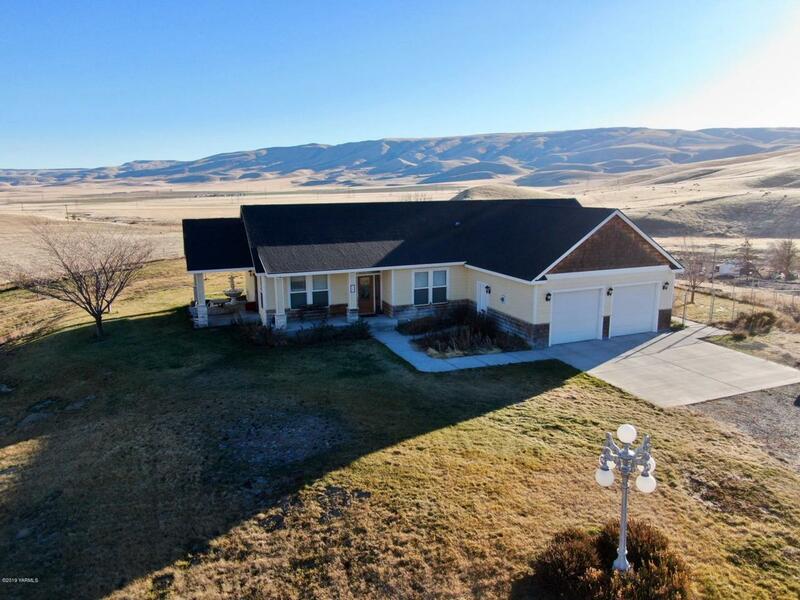 This home was custom made for you to enjoy tranquility and enough land for all of your toys. Home has vaulted ceilings in the great room along with 3 very generous sized rooms and 2 full bathrooms. The picture windows in the Great room let you take in all of the surrounding hills and valleys. Home is within 20 minutes to Sunnyside to the south or 25 minutes into Yakima to the west. Attached is an oversized 700 sq ft garage. But if you need more space then the custom 30x40 Shop will be plenty to store an RV, Boat or any other toy imaginable. Land has been used for Cattle and is ready for just about anything you can think of. All showings are by Appointment only.